To satisfying the varied demands of clients, we are highly engaged in offering optimum quality Powder Mixing Machine in the market. 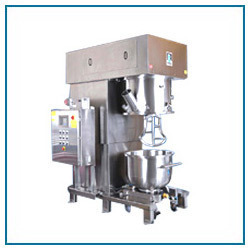 We offer Double Cone Mixer which are made employing high quality raw material and most recent machines. These products are widely used in several industries due to less maintenance and optimum performance. The whole array can also be customized according to the specification of the patrons. Drive: motor drive and gear box drive. ms and stainless steel aplicationaise. : capacity 50 kg and upto 1 tonn. Application: For Food Industry and chemical Industry. We deal in Sieve Type Ribbon Blender. 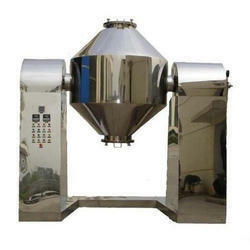 We are available with Double Cone Blender that efficiently process larger volume of material. These blender are highly efficient and versatile blending machine for mixing homogeneously of powders, granules with or without addition of liquids of low viscosities within a short time. Capacity Available :- 50kgs to 1000 Kgs. - Economical, consume less power per liter materials. Being a remarkable business organization, we are offering a high class Ribbon Blender.